Judge Jodi Debbrecht Switalski is a former court judge and Metro Detroit felony prosecutor with a perfect trial record. She currently serves as the federal chief consultant of Switalski Law & Consulting and is a partner at the Stutman Switalski Group. She is working feverishly to help reverse the most devastating drug epidemic in American history…the opioid crisis. 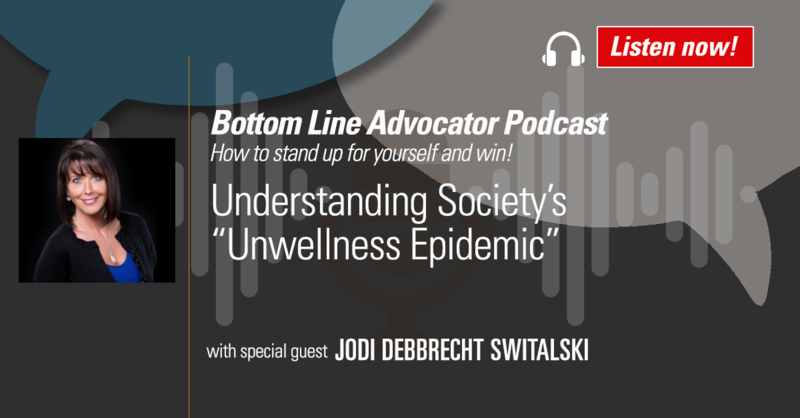 In this episode of the Bottom Line Advocator Podcast, Jodi joins Bottom Line president Sarah Hiner to discuss what she has coined the “unwellness epidemic”—which shifts the focus from strictly opioids and addiction and to the bigger picture—that substance abuse, mental health issues and violence are directly related to a society that talks about being healthy but actually is culturally ailing. Listen in as Sarah and Jodi discuss how parenting, health-care practices, big Pharma, social media and other factors are contributing to some of this crisis. Subscribe to the Bottom Line Advocator Podcast on Apple Podcasts!